The Blohm Voss BV 155B was supposed to become just that weapon to stop the new American B-29 high altitude bombers. However, these magnificent machines were sent to the Pacific area and the development of the BV 155B was not brought to a successful finish. The development had really been rather complicated, originally taking place at Messerschmitt facility as the Me 155, originally designed as a naval fighter for theplanned but never finished Graf Zeppelin carrier. As the requirements of the RLM changed with time, the type was also redesigned to perform as a high altitude machine, the Me155B. The Messerschmitt development team was overburden with several other projects, so the RLM decided to transfer the project work to Blohm Voss, where, however, the Blohm Voss‘ chief designer Richard Voght considered the project to be quite bad and eventually redesigned it completely. 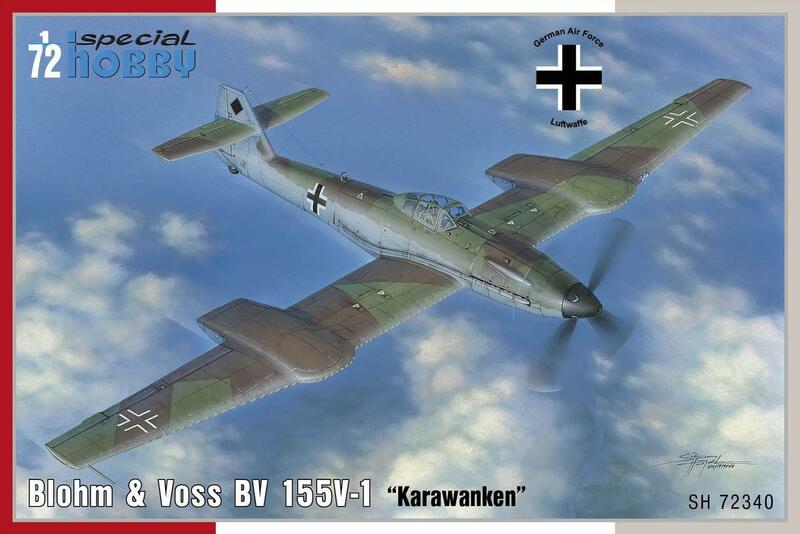 The type’s designation changed as well to the BV155, and the new plane was much larger with a long span wing. A four-bladed propeller was driven by a turbo-charged DB 603U engine, with engine radiators hung under the wing. The first BV155V-1 made its maiden flight on 1 September 1944, quipped with a pressurised cockpit and a Rb 50/30 camera behind the pilot’s seat. The planned armament was to consist of a 30mm MK108 cannon in the propeller shaft and two 20mm MG151/20 cannon in the wings. Several problems occured during the first flights, although the team was able to tacke some of them eventually. Another two prototypes, the V- 2 and V-3 had also been partially built. 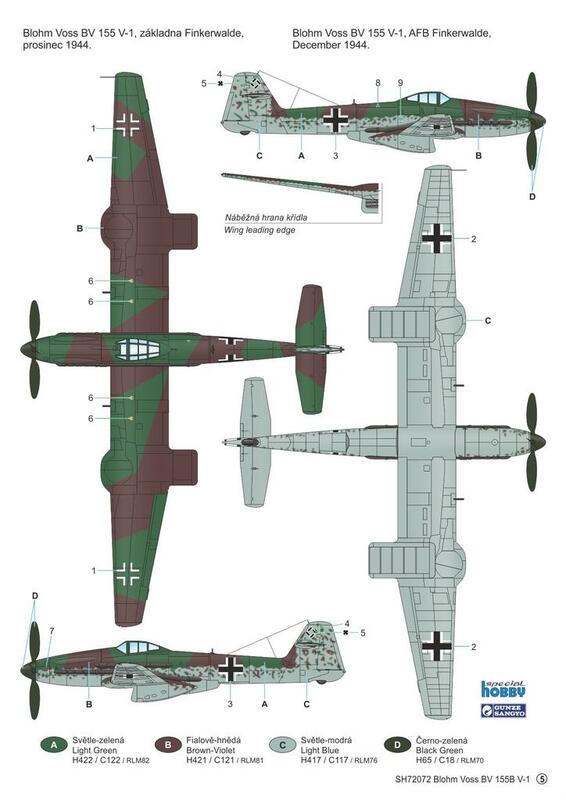 Richard Voght considered also the BV155C, a version which was to have its radiator in the forward fuselage. The advancing British troops brought an end to all these plans when they seized the Blohm Voss factory and also Hamburg – Finkerwerder airfield. The RAF supposedly test-flown the BV155, at least an inventory number was assigned to the type. At first, the Bv155 was sent to the UK, consequently over the pond to the USA. Nowadays, the already incomplete machine is stored at the National Air and Space Museum depository. The model of this unique high altitude fighter prototype was already produced by our team and is no longer available. The model that we are going to offer you now is a completely new one, and some of its components are produced using metal moulds. The kit comes on three grey styrene sprues, one sprue sith clear parts and also contains two nicely detailed resin items. The decal sheet was expertly printed by Italian Cartograf.